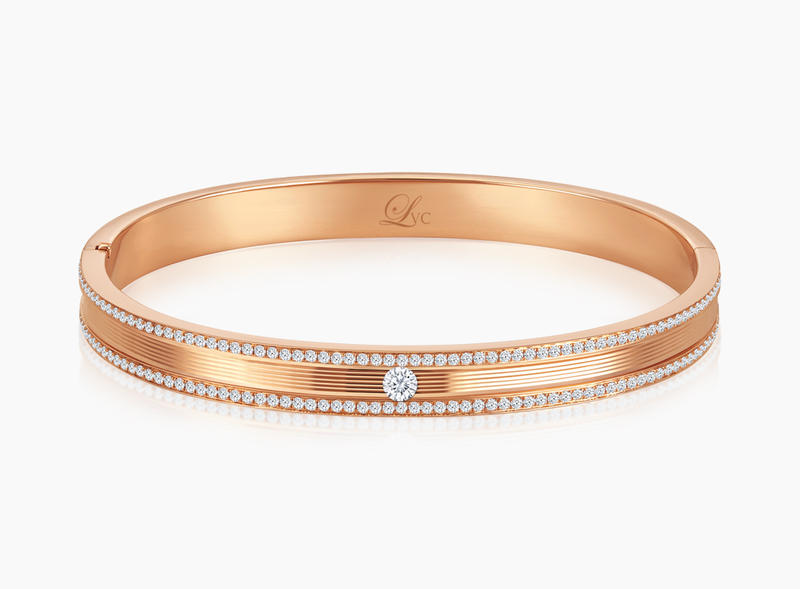 LVC Promise | SDG00252 – Love & Co.
Have your love expressed through gifts made meaningful. 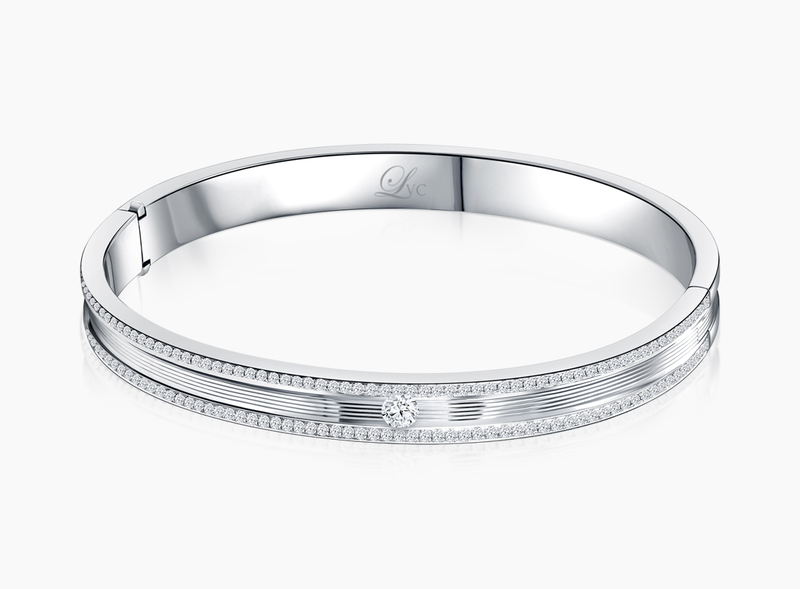 Stylish and refined, the LVC Promise bangle is paved with glistering diamonds that shines ever so fervently, mirroring a passionate love. 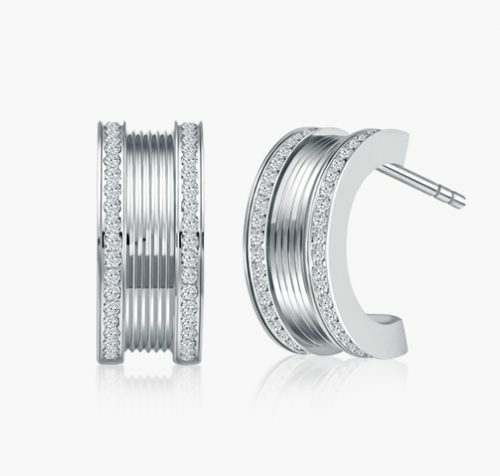 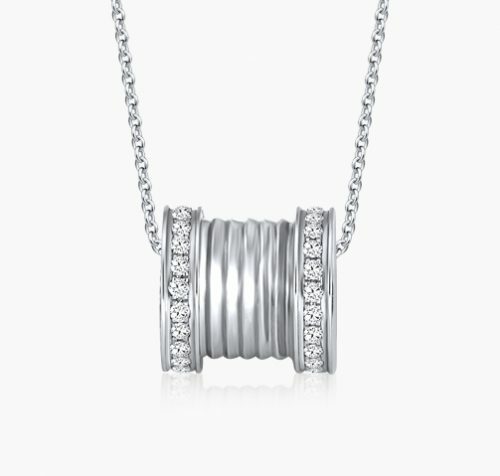 At the center of it all, sits a single diamond that accentuates elegance. 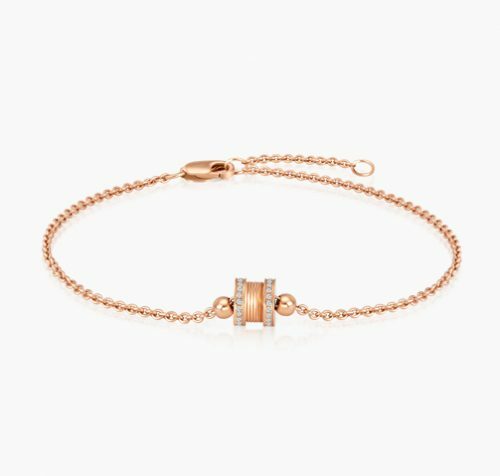 This bangle is available in rose gold as well.